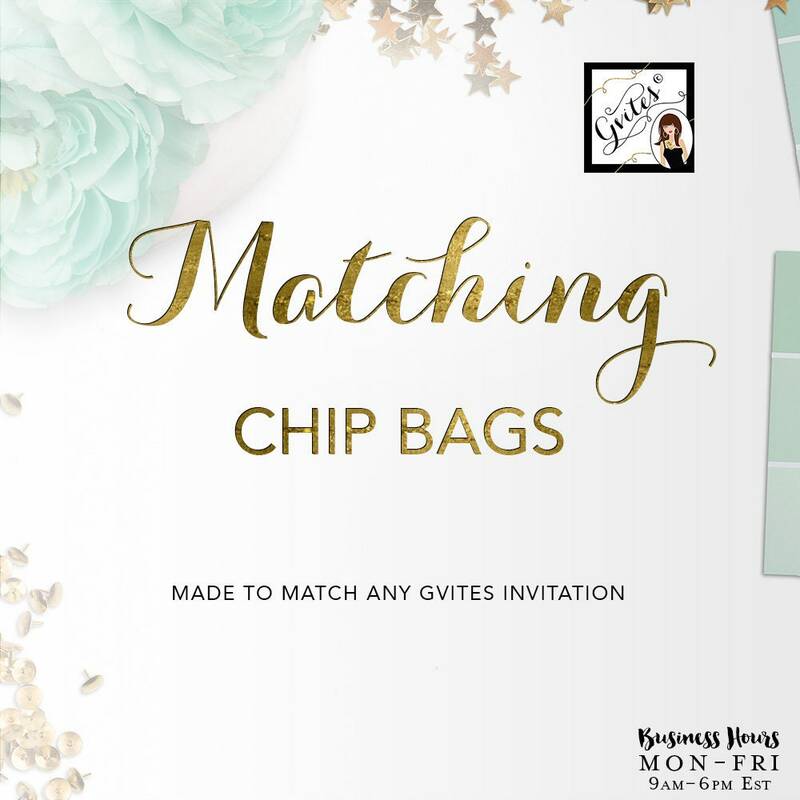 Matching Chip Bag Add-on - To coordinate with any Gvites invitation design. ▻ Purchase this listing when you cannot find the design that matches your initial invite order; And I will create this item to match your Gvites invitation design. ▻ Include your text during checkout in the box called "Add an optional note to seller".